Using a fresh install of iTerm2, I found that ⌥⌫ wasn't working as expected. Within minutes, I noticed a significant decrease in productivity, since (apparently) I use werase all the time. Without further ado, here's the time-saving fix I settled on. 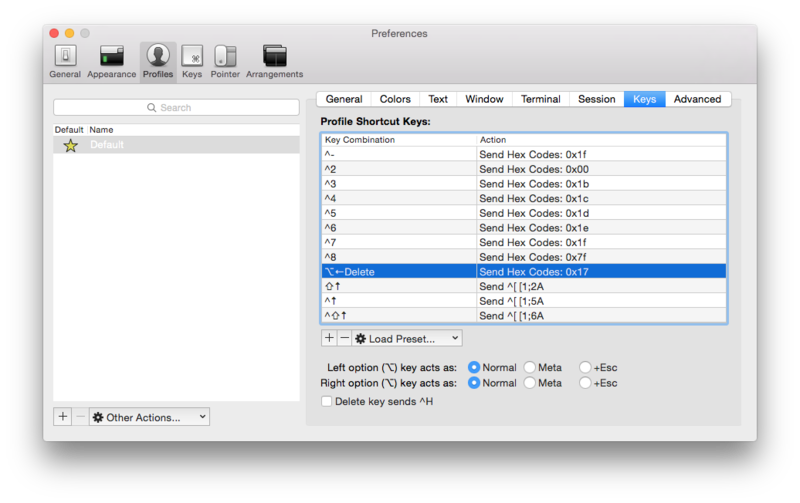 Shout out to to Key Codes (and Homebrew) for making it easy to find the appropriate hex code.